The Heart Chakra is a simple practical heart chakra healing book that will teach you how to cleanse, balance and heal the heart chakra. 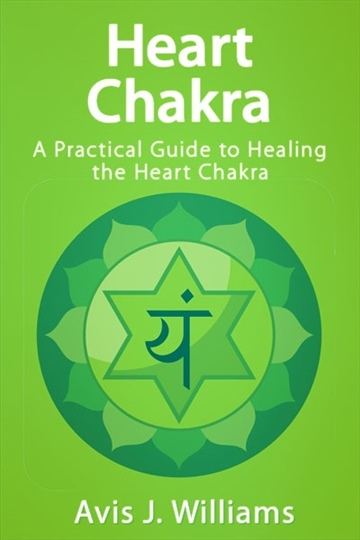 —In The Book You Will Learn— – How to heal the heart chakra and looks at practical techniques to heal, cleanse and balance the heart chakra. – How to reprogram the subconscious mind to heal your emotions and body. – The preparation you need before you start to heal the heart chakra. – Deep breathing and meditation techniques to help calm and balance the mind. Avis is a spiritual advisor, writer, and graphic/web designer. She practices and studies Kriya Yoga meditation, mediumship and psychic development, and counselling.She aims to share her spiritual journey and practices through her books and website. To help others expand their consciousness and improved their wellbeing.